The Mason Jar Mesquite Chicken is the perfect way to prepare boneless, skinless chicken breasts. 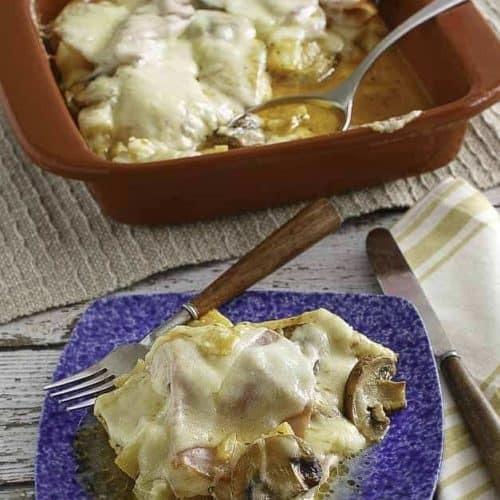 This recipe features pineapple chunks, mushroom pieces, ham, cheese and more. This is a great recipe to make ahead, and warm up when ready. Mason Jar Mesquite Chicken Breasts is a chicken dish you must try. This is a delicious chicken breast recipe, but, be warned – it is very filling. 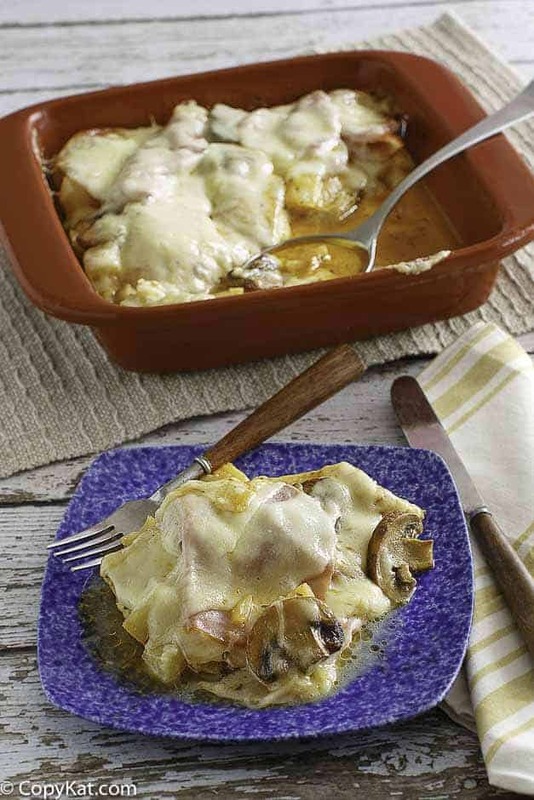 In this recipe that is similar to what the Mason Jar once served, we have pineapple chunks, mushroom pieces, ham, cheese and more. Yum! The Mason Jar restaurant is located in Auburn, Alabama and is known locally and affectionately as The Jar. It offers a wonderful menu of home-cooked southern favorites in generous portions to guarantee you will never leave hungry. So, if you are ever in Auburn, pay a visit to The Jar and get a taste of southern hospitality along with some good ol’ sweet tea in a mason jar. Mesquite is a type of small tree or shrub that is typically armed with long spines. It produces edible fruits variously called beans, legumes, or pods. Mesquite is well suited to desert areas like the southwestern United States. Traditionally, native peoples of these regions depended on mesquite. It provided shelter, food, weapons, medicine, and even cosmetics. Mesquite was used for grilling and food cooked over a mesquite fire is something special. Nowadays, mesquite is the wood of choice for chefs and backyard grilling gurus throughout the entire United States. Read more about mesquite. What Does Mesquite Taste Like? Mesquite has a unique flavor profile that is piney and sweet. It goes particularly well with rich, dark meats like lamb, goose, and duck. Mesquite Cooking Sauce: You should be able to find mesquite cooking sauce in any good supermarket. And, of course, “googling” will turn up several different brands – click here and here. Before you go, be sure to share your favorite way to make chicken breasts! Mason Jar Mesquite Chicken is a chicken dish you must try. 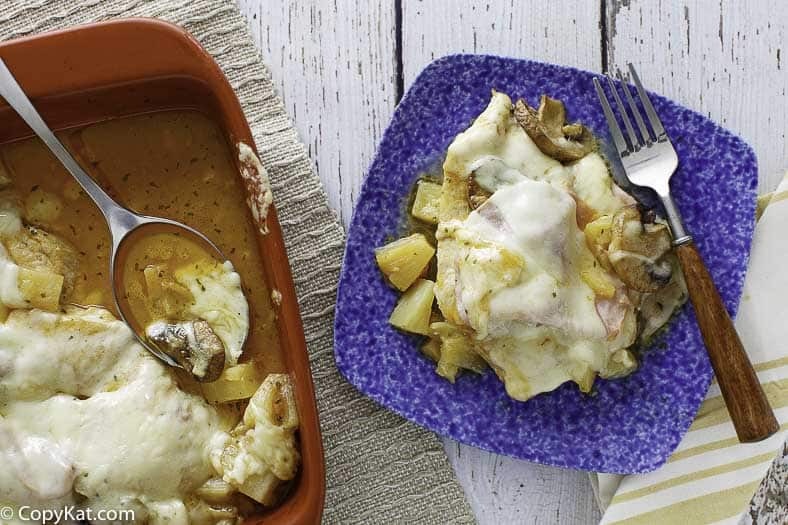 Pour the pineapple chunks with their juices into a large skillet and add the chicken breasts. Cook over medium-high heat until the chicken is no longer pink in the center. Remove the chicken from the skillet and discard the juices. Arrange the breasts in a large casserole. Pour the mesquite marinade over all the breasts. Evenly divide first mushrooms and then ham onto the top of each breast. Top each breast with a thick slice of Monterey Jack cheese. Bake in the oven at 350 degrees about 10 min. or until cheese is melted. (You can also do this step in the microwave. It takes about 2 minutes on high!). Need to thaw boneless skinless chicken breasts quickly? Place into a zip-topped bag, seal, and then place into a sink of water, they will thaw in no time at all. Are the chicken breasts super large? Consider slicing in half on the horizontal axis. what brand of mesquite sauce do you use ?